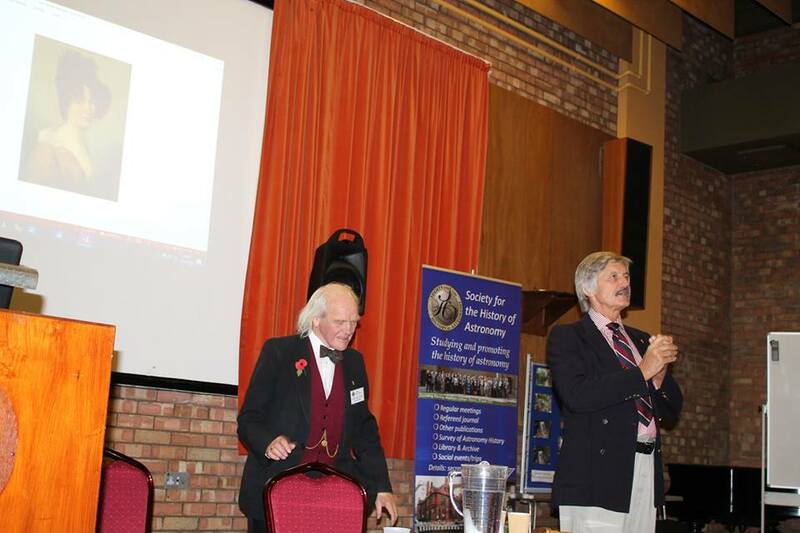 The AGM and autumn conference was held on Saturday 29th October 2016. It was held at the usual venue and home of the SHA library the Birmingham Midland Institute. The conference had a stellar line up with four talks scheduled as well as the AGM. 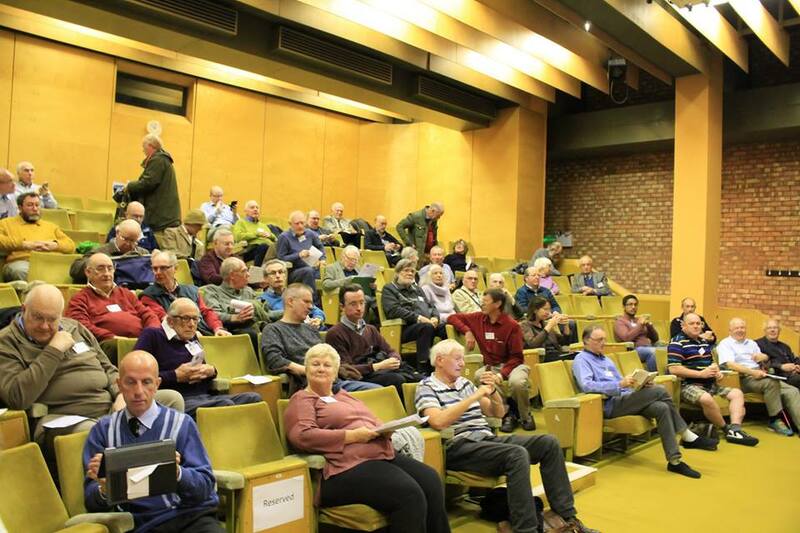 70 people attended with the majority being members but also several guests and another new member signed up on the day. The conference started with Bill Barton’s talk discussing his interesting research into the Chaldean Society. This society had a short but very productive history. Producing quarterly magazines over the course of several years from 1916, this society mainly had a program of work which focused on naked eye observations, although several their more experienced astronomers had access to telescopes. They were particularly keen on eclipse watching and by 1927 they produced an eclipse special. Not only did they have a central branch but towards the end of the society they had several branches. Dr Lee Macdonald’s talk was about the Astronomer Royal George Airy and the Magnetic and Meteorological department which was built at Greenwich by 1838. He painted a vivid picture of a radical Airy who wasn’t afraid to speak out not only scientifically but politically as well. Airy was instrumental in the obtaining and building of the ‘mag and met’ office at Greenwich. He was also in charge of its ensuring its success and implementing the processes by which it would be run. After a leisurely lunch the AGM was held. Bob thanked everyone for their hard work over the last year in particularly in promoting and expanding the society to its highest number of members. Amongst other business a new prize was announced. This will be given in honour of Madeline Cox the former chairperson who left a generous bequest to the society. This new prize will be given at the next AGM in 2017, it will be awarded for the best Bulletin article received for issues 26, 27 and 28. 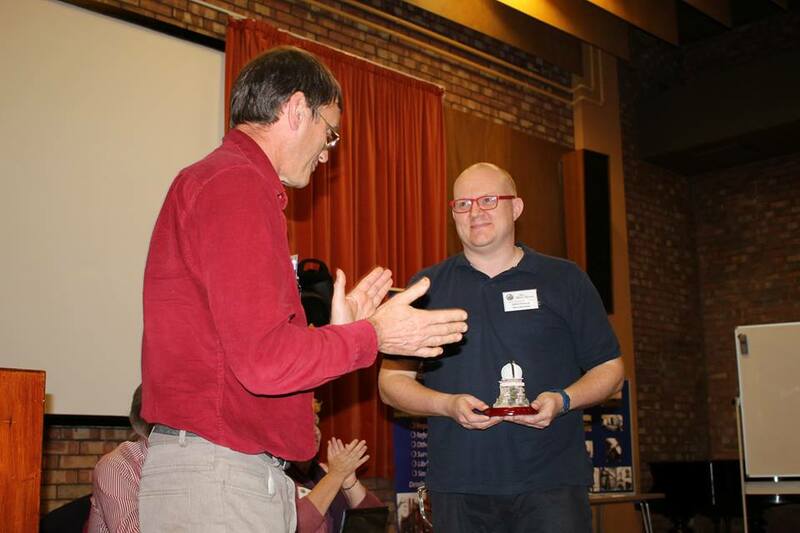 James Dawson was in attendance and was awarded the Roger Jones award by Kevin Johnson for his all his work on the survey during the last year. The afternoon conference was started by a talk by Dr Mike Leggett who spoke about his research on the Hartwell Synod. The Synod had been centered around Dr Lee’s observatory at Hartwell House. But it extended out to several local observatories which were established in a very small area of the country. The synod included many experienced astronomers such as James Glaisher, Norman Pogson and William R. Birt. Mike has done a large amount of research about the members of the synod and was a wealth of information on the subject. There were the usual refreshments provided and opportunity for the members and guests to mingle during the afternoon break. Also held was a sale of several duplicate library books. 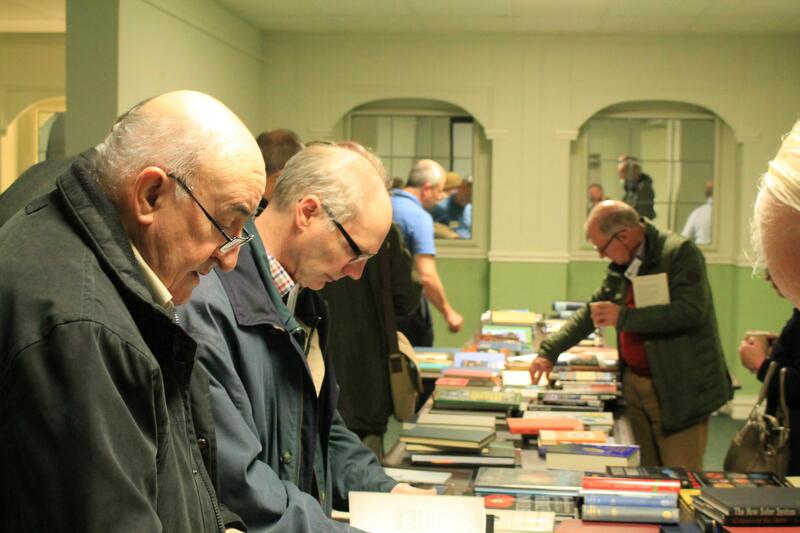 This sale was well received and a total of £390 was taken at the door by the end of the day. After the afternoon break the final speaker of the day was Dr Allan Chapman. 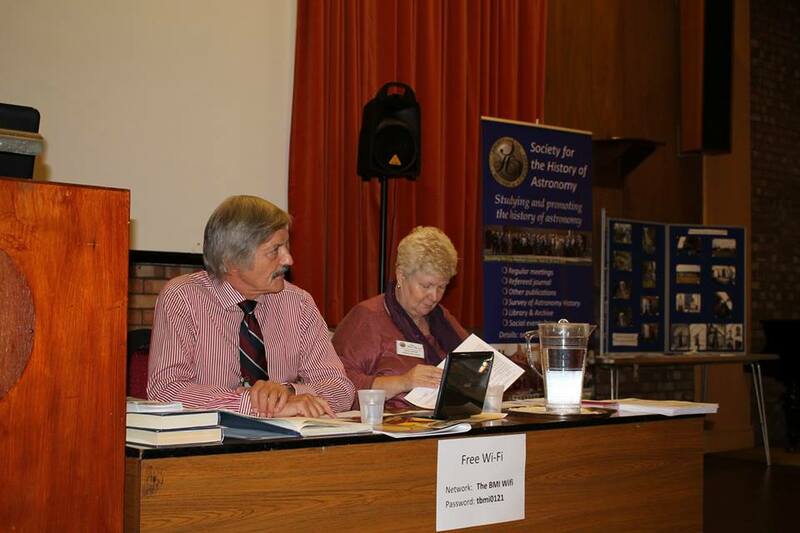 Allan is one of the societies honorary presidents and regular speaker at the AGM. This year he spoke with his usual enthusiasm about Mary Somerville. Mary was a self-taught Scottish lady. She used correspondence and books by people such as Laplace to became one of the leading mathematicians and astronomers of her time. She was awarded membership of the Royal Astronomical Society before women were admitted. Her books were gained several awards across the world. They were particularly readable and went on to become best sellers during her lifetime. Thank you, Allan, for bringing to life this intelligent woman who was at the forefront of science in the 19th century. We must thank all the speakers for enjoyable and informative talks. Also, to Gerard our membership secretary, for the organisation of the conference. We look forward to seeing you all at either the Paris Observatory trip, or the spring conference which this year will be held at the Institute of Astronomy Cambridge on April 22nd 2017. Text and Pictures courtesy of Carolyn Kennett. The Hanwell 30’’ Newtonian reflector is an impressive instrument. The 30’’ primary mirror has a focal length of 180 inches and an f/6 ratio. It is one of the largest astronomical telescopes available for public use in the UK. 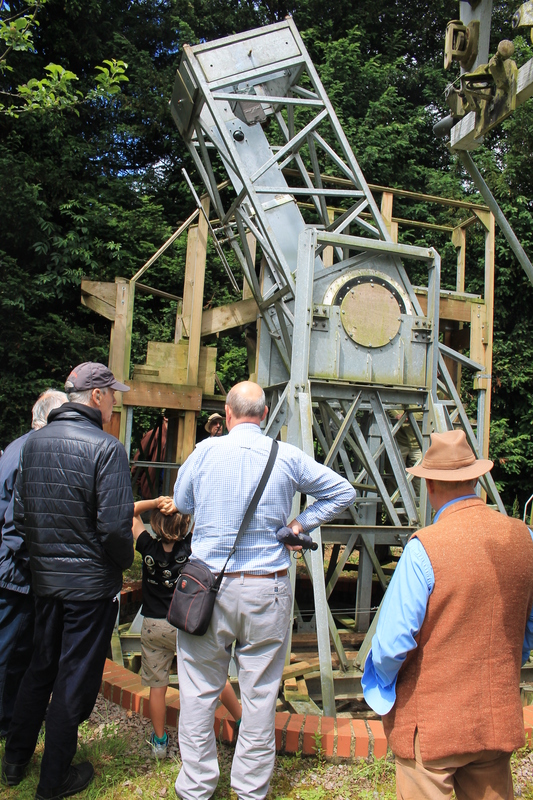 The Newtonian telescope has been designed and built by the community observatory with the public in mind. The John Wall refractor is a 30’’ f/12 refractor and is one of the largest refractors constructed by a single individual. John Wall designed and built this zerochromat dialyte telescope in a back garden workshop. Today it is the 5th largest refractor in the world and the largest within the UK. The final scope we saw was the McIvor Paton scope which when operating is a 12.5’’ f/7 Newtonian refractor. The optics are kept indoors, but it can be set up and in use within a short amount of time. There is a pdf showing more pictures taken on the day by M Leggett that can be seen by clicking the link below. The SHA Spring Conference for 2015 is a joint conference with the Historical Section of the British Astronomical Association, and will take place on Saturday 28 March at the National Maritime Museum, Park Row, Greenwich, London SE10 9NF. The strong programme for this conference should appeal to all. Pre-registration in advance is essential to our arrangement with NMM, and to arrange refreshments, then you can pay on arrival. Fee is £5 per person (£10 per guest) for SHA and for BAA members. Light interval refreshments will be provided but delegates are asked to make their own provision for lunch. There is an excellent café and a restaurant nearby in the Museum, and pubs within easy walking distance. There is very limited disabled parking available for blue badge holders only strictly by prior arrangement. Otherwise the now excellent tube/DLR links are the way to go. The 2015 SHA Summer Picnic will take place on Saturday 4 July at the birthplace of Sir Isaac Newton – Woolsthorpe Manor, Lincolnshire. The event will include a tour of the house and a visit to Colsterthorpe Church. Further details to follow. The 2015 SHA Autumn Conference and Annual General Meeting will take place on Saturday 31 October in the traditional venue – the John Lee Theatre of the Birmingham & Midland Institute, Margaret Street, Birmingham B3 3BS, between 9.30am-5pm. Tickets are £10 per person and should be booked in advance if at all possible. Guests or non-members are most welcome. Cheques should be made payable to ‘The Society for the History of Astronomy’ and sent to The Treasurer, Roger Hutchins, 5, Sandringham Close, Barkingside, Ilford, Essex IG6 1NU (note that Dr Hutchins has recently moved and this is his new address) or pre-register by e-mail ( treasurer@shastro.org.uk ) and pay on the day. The 2013 SHA Summer Picnic will be held on Saturday 29 June 2013 at the University of London Observatory in Mill Hill, North London. The visit will include an opportunity to inspect the Observatory’s instruments and equipment, both historic and modern, while the picnic itself will be held in the adjacent park. Further details will circulated closer to the event. See also Roger Hutchins’ British University Observatories 1772-1939 (2008), pp413-17. Tickets are £10 per person and should be booked in advance if at all possible. Guests or non-members are most welcome. Cheques should be made payable to ‘The Society for the History of Astronomy’ and sent to The Treasurer, Roger Hutchins, 5, Sandringham Close, Barkingside, Ilford, Essex IG6 1NU (note that Dr Hutchins has recently moved and this is his new address) or pre-register by e-mail ( roger.hutchins@btinternet.com ) and pay on the day. The 2013 SHA Autumn Conference and AGM will be held at the Birmingham and Midland Institute (BMI) in central Birmingham on Saturday 19 October. Note the revised date, which is a week earlier than the usual. The revision was necessary to avoid a clash with an existing booking at the BMI. Anyone planning to attend is strongly urged to pre-book using the details below in order that we can supply accurate numbers for the catering. Papers for the AGM will be circulated in advance and members are invited to raise any issues concerning the Society during the AGM. Tickets are £10 per person and should be booked in advance if at all possible. Guests or non-members are most welcome. Cheques should be made payable to ‘The Society for the History of Astronomy’ and sent to The Treasurer, Roger Hutchins, 5, Sandringham Close, Barkingside, Ilford, Essex IG6 1NU (note that Dr Hutchins has recently moved and this is his new address) or pre-register by e-mail ( roger.hutchins@btinternet.com ) and pay on the day. Sat. 28 Apr. SHA Spring Conference, at the National Maritime Museum, Greenwich. See January 2012 issue of SHA eNews for full details, also flyer emailed to members. Sat. 9 Jun. SHA Summer Outing at Carr House and St Michael’s Church, Much Hoole, Lancashire, from where Jeremiah Horrocks made the first observation of a transit of Venus in 1639. Details are given in the flyer already circulated. Sat. 21 Jul. SHA Summer Picnic at the Institute of Astronomy, Cambridge.This picnic marks the tenth anniversary of the Founding of the SHA and there will be talks to commemorate the occasion. Further details TBC. Sat. 27 Oct. SHA Autumn Conference and AGM, at the Birmingham & Midland Institute. Further details TBC. The programme will include talks by members presenting their own research. Sat. 25 February, at the Birmingham and Midland Institute, Birmingham. Sat. 23 June, at the premises of the Royal Astronomical Society, Burlington House, London. Sat. 8 September, at the premises of the Royal Astronomical Society, Burlington House, London. Sat. 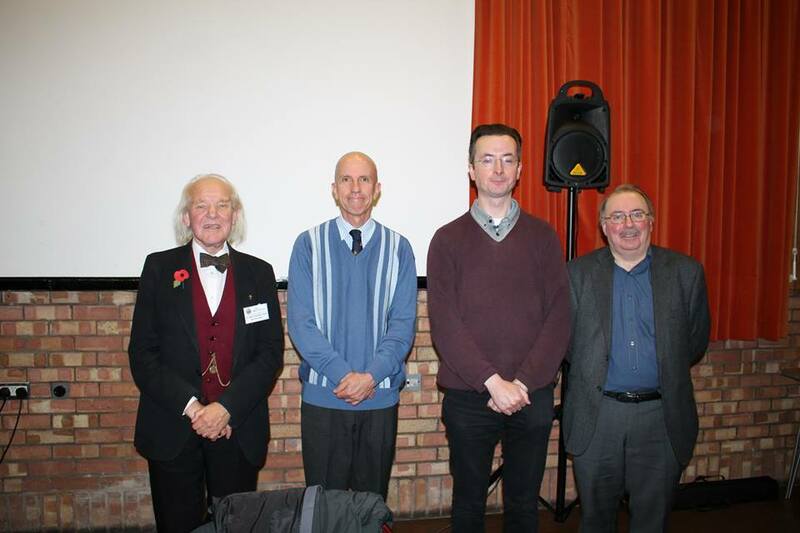 10 November, at the Institute of Astronomy, Cambridge. Provisionally the 25 February meeting will start at 12:30 pm and the others at 1:00 pm.